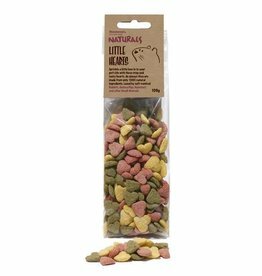 Natural, healthy, carob & fruit treats for your mice and hamsters. 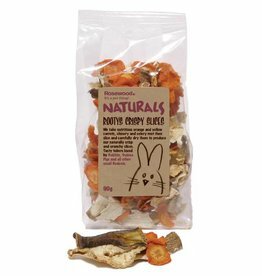 Tasty treats for Rabbits, Guinea-Pigs and other small animals. 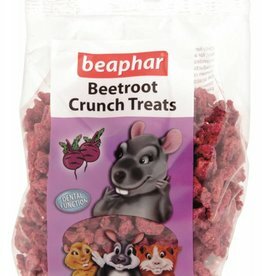 Made from all natural ingredients, including Beetroot from East Anglia, they are highly palatable, and especially popular with guinea pigs. Rosewood Apple Cracker Dari is a natural dari cob covered in a crisp & crunchy biscuit coating, smothered in scrummy apple pieces. 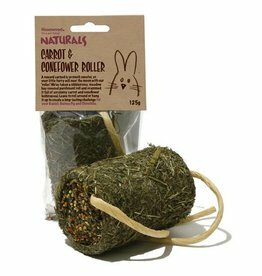 Rosewood Boredom Breaker Naturals Carrot and Coneflower Roller is a meadow hay covered parchment roll crammed full of 'scrummy' carrot and coneflower (echinacea). 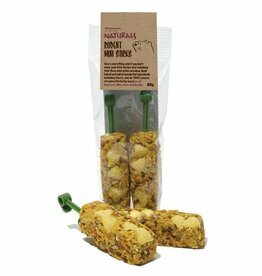 Rosewood Boredom Breaker Carrot & Fennel Sticks are a wonderfully tasty treat, full of healthy and natural ingredients, for all Small Pets. 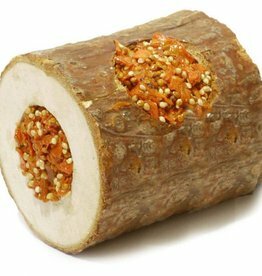 The edible wood acts as a great gnaw toy with the carrot filling offering an extra tasty challenge! 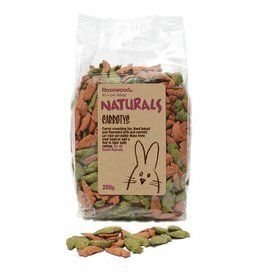 Rosewood Boredom Breaker Naturals Carroty,s are a fun, healthy treats for all Small Animals containing real carrots and mixed herbs. Rosewood Boredom Breakers Natural Treats Dandelion Delight. 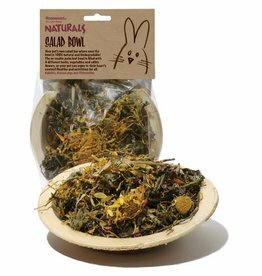 As well as tasty dandelion this delicious mix also contains tempting melissa (lemon balm) and plantain. 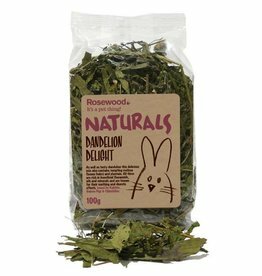 Rosewood Boredom Breaker Dandelion Sticks are a wonderfully tasty treat, full of healthy and natural ingredients, for all Small Pets. 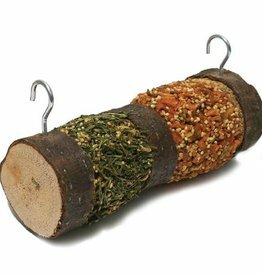 These hard baked sticks make your pet work for their treat, keeping them stimulated for days. 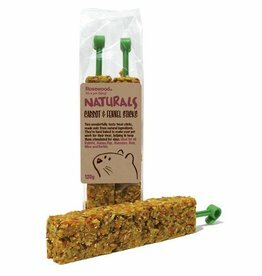 Rosewood Boredom Breaker Naturals Double Woodroll is any small pets perfect 'salad bar'. 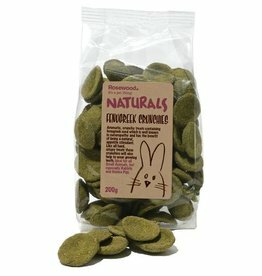 Rosewood Boredom Breaker Natural Fenugreek Crunchies are aromatic, crunchy treats containing fenugreek seed which is well known in naturopathy and has the benefit of being a natural, appetite stimulant. 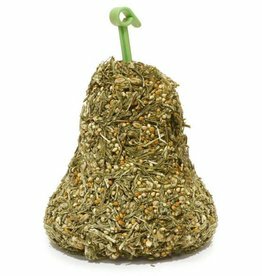 Just hang this bell of fragrant parsley and wheat in your pet’s cage to make them stretch and work, keeping them busy for many days. 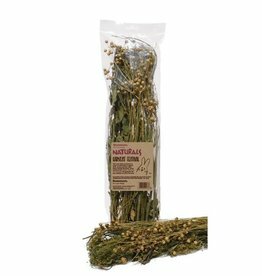 Rosewood Boredom Breaker Naturals Harvest Festival contains an assortment of selected herbs, grasses and other edible plants, carefully harvested, sorted & dried. 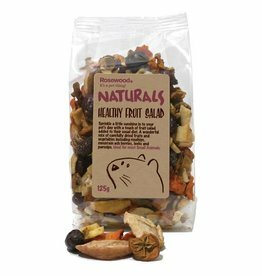 Rosewood Boredom Breaker Naturals Healthy Fruit Salad are manufactured using only the highest quality ingredients. A wonderful mix of carefully dried fruits and vegetables including rosehips, mountain ash berries, leeks and parsnips. 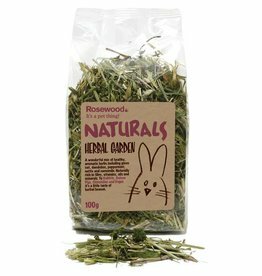 Rosewood Boredom Breaker Naturals Herbal Garden Treats are manufactured using only the highest quality ingredients. 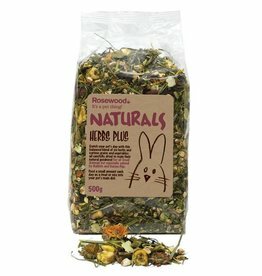 Rosewood Boredom Breaker Naturals Herbs Plus Treats are manufactured using only the highest quality ingredients. 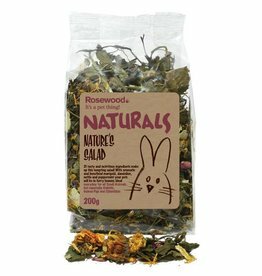 Rosewood Boredom Breaker Naturals Nature’s Salad are manufactured using only the highest quality ingredients, including aromatic and beneficial marigold, dandelion, nettle and peppermint. 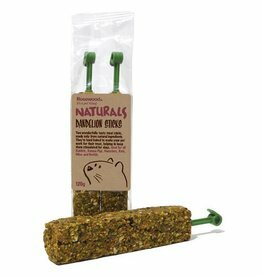 Rosewood Boredom Breaker Naturals Rodent Mini Sticks are 100% natural,healthy and tasty treats. Carefully dried slices of carrot, chicory and celery root. Rosewood Boredom Breaker Naturals Salad Bowl is a reusable and biodegradable palm leaf bowl filled with assorted herbs, vegetables and edible flowers held together with a vegetable glaze. 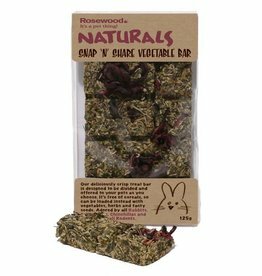 The Boredom Breaker Naturals Snap & Share Vegetable Bar is a deliciously crisp rabbit treat bar specifically designed to be divided up and given to your rabbit when you choose. 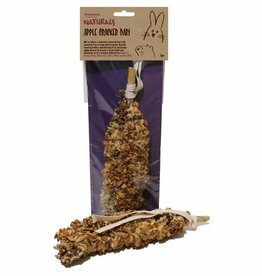 Rosewood Boredom Breaker Strawberry Sticks are a wonderfully tasty treat, full of healthy and natural ingredients, for all Small Pets. Rosewood Boredom Breaker Naturals Willow Treat Basket. Manufactured using only the highest quality ingredients. 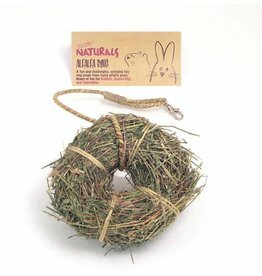 Small Animal Naturals Alfalfa Ring is a fun and challenging, swinging hay ring made from the finest meadow hay and alfalfa.